Clubhouse dining at The Club at Flying Horse will transport you to the extraordinary. Sweeping mountain views, combined with award-winning cuisine, impeccable service, and welcoming ambiance, will make your dining experience one to be envied. Our chefs take their inspiration from all over the globe, and include innovative ingredients, coupled with the highest quality fresh seafood and steaks. Our extensive wine and craft cocktail list are the perfect companion to any occasion. Daily features, in addition to our dining menu, create an opportunity to wander without ever leaving your chair. The Steakhouse —Colorado Springs’ newest Steakhouse is situated within The Club at Flying Horse, featuring sweeping views of our Tom Weiskopf designed golf course, Pikes Peak, and the Front Range. 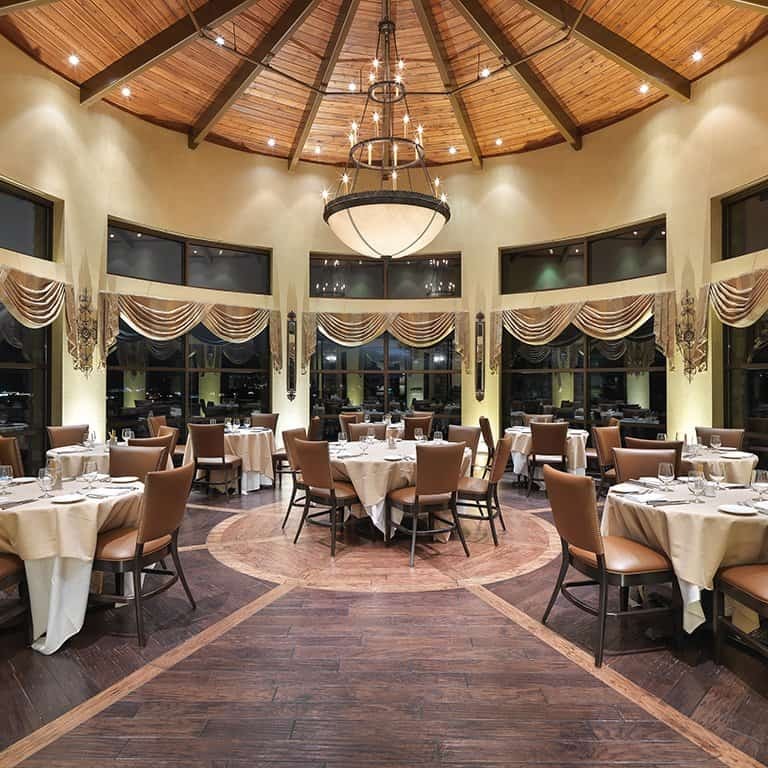 The Steakhouse at Flying Horse is a contemporary restaurant in a beautiful Tuscan style villa. Enjoy The Steakhouse dinner menu with delicious appetizers, featured prime steaks and chops, fresh seafood and chicken dishes along with innovative side dishes. Accompany any dish with a hand-crafted cocktail from our full-service bar or bottle of wine from our extensive list of old and new world wines. Our exquisite selection of homemade desserts is the perfect ending to Steakhouse dinner. We also offer our guests delightful options for breakfast and lunch. Steakhouse dining has never been so delicious and luxurious in Colorado Springs.